It’s a foggy and still November day in Port Townsend, Washington, and a childhood friend is taking me and my colleague Brian for a quick spin on his 58-foot schooner, Singawing. Matthew Mortensen is his name. He and his wife, Andrea, operate Great Bear Charters, bringing clients up and down the Inside Passage on their flotilla of one. 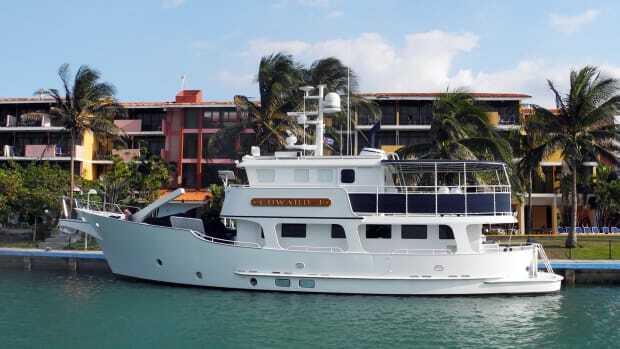 It’s easy to picture spending a week or more on this charter boat bedecked with all the cruising necessities. Its cozy interior has plentiful sleeping quarters and kayaks flare out on racks above the transom. Out on the water, Mortensen explains that Singawing has become a guinea pig for his hybrid life, a test case for his commitment to eliminating dependence on burning fossil fuels (and yes, in case you’re wondering, he drives an all-electric Nissan Leaf). 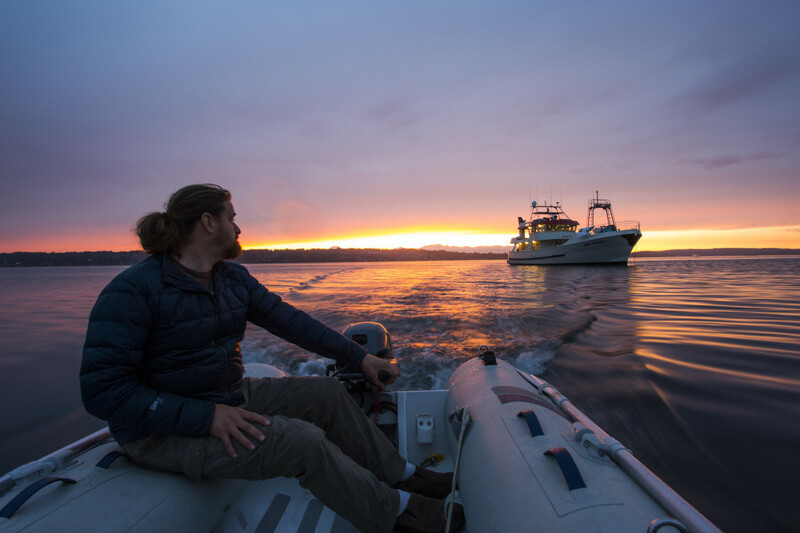 Mortensen, along with his friend, business partner and fellow master electrician Chris Brignoli, founded ReVision Marine in Port Townsend with the singular goal of bringing their hybrid-energy vision to other environmentally conscientious boaters. New Pacific can travel for months on end without plugging in to shore power. 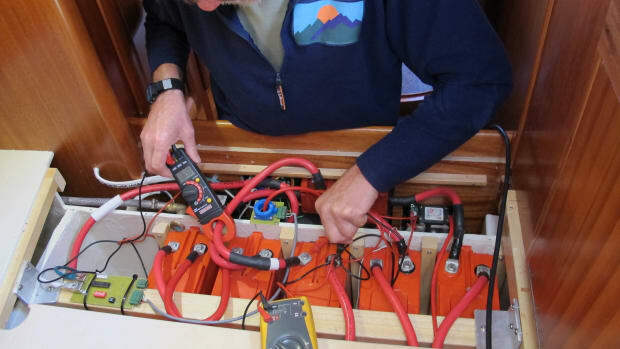 Off Point Wilson, Mortensen explains how his sailboat is powered by twin sail-drive units, a single generator to recharge a lithium manganese cobalt oxide (NMC) battery bank and a battery management system that essentially supervises every battery on board the boat, monitoring them down to the individual cells. When we pull out from the slip, the generator is running, turning the props as well as recharging the batteries. Five minutes later, Mortensen switches over to full electric propulsion, killing the generator. I’m slack-jawed as the noise of combustion evaporates. All that is left is the sound of water swishing past Singawing’s fiberglass hull at 8 knots, plus the faint whisper of a motor whirring somewhere below. Mortensen explains that they can run the boat in “stealth mode” for 2½ hours before the generator switches on to recharge the boat’s batteries. There are plenty of varieties of lithium batteries in the world, but most share the same attributes: They are energy dense, they can fit heaps of power in a small package and they can be run down as far as 10 percent before they need to be recharged. If a typical lead acid group 24 battery is rated for 100 amp hours (AH), only 50 of those amp hours are actually available to the user from a single cycle on that battery. And unlike lithium cells, where 100 percent of the power is available at all times, a lead acid battery is subject to Peukert’s Law, which, stated simply, dictates that a battery’s capacity decreases as the rate of discharge increases. It is not a linear relationship. Chris Brignoli monitors the complex systems housed within New Pacific’sundefinedengine room. From a physical size standpoint, if you were to build a matching lithium phosphate battery to replace the same amp hours from your lead acid group 24, the lithium bank would take up roughly one-quarter of the space. The downside of lithium, of course, is primarily tied to upfront costs. The risk of fire using an engineered and properly built LiFePo4 (LFP) battery module is less than that of common absorbed glass mat (AGM) batteries. 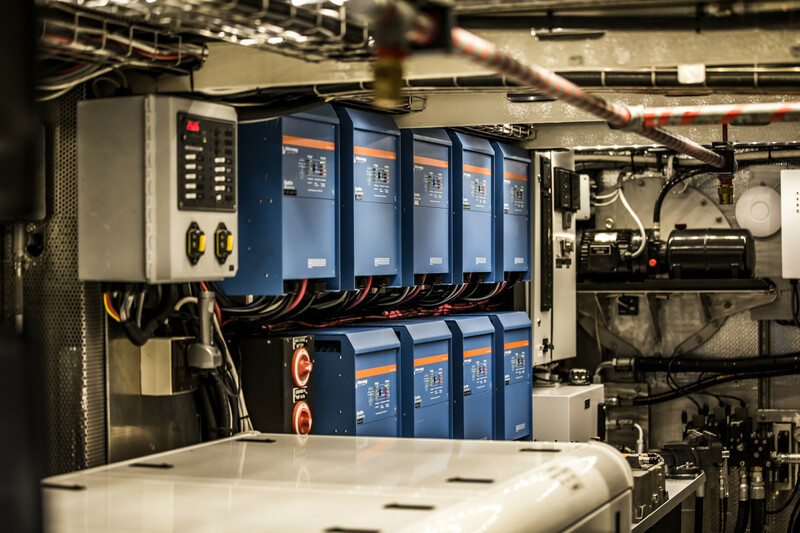 New Pacific’s engine room has a bank of nine Victron inverter/chargers. What makes ReVision’s hybrid approach unique is tied to its ever-evolving battery management system (often referred to as “BMS”). Recognizing that LFP batteries are unique in their safety and highly efficient energy storage devices, the company has found a way to couple those characteristics with the peak efficiency load and rpm of a generator or a diesel engine. The generator runs at optimal efficiency for a short period of time—usually one to two hours for a full charge in ReVision’s ESM line—then shuts down and gives us a quiet ship for very long periods of time. The batteries are so efficient that they’ve become a game changer for hybrid utilization, with built-in BMS that controls all charging sources, including the generator. The generator/charging system is programmed by ReVision to operate at peak efficiency 100 percent of the time, massively reducing fuel consumption and carbon emissions. As many of us already know, a diesel engine’s efficiency can be measured on a bell curve, with one specific rpm representing the peak of efficiency. However, we can’t always drive a diesel engine at peak, especially if that motor is a generator. But by using electric motors, highly efficient batteries, a tuned BMS and a generator, one can produce an efficient hybrid-power solution. When necessary, the generator turns on and runs only at its peak efficiency, producing 100 percent of its power output at the top of the bell curve. That energy is then stored in batteries or it subsidizes battery output to the electric motors to provide thrust. The thrust via the electric motors can be adjusted without affecting the rotational speed of the generator, while the BMS further helps the efficiency of both the battery charging as well as the output to ensure that power loss is minimal across the system. 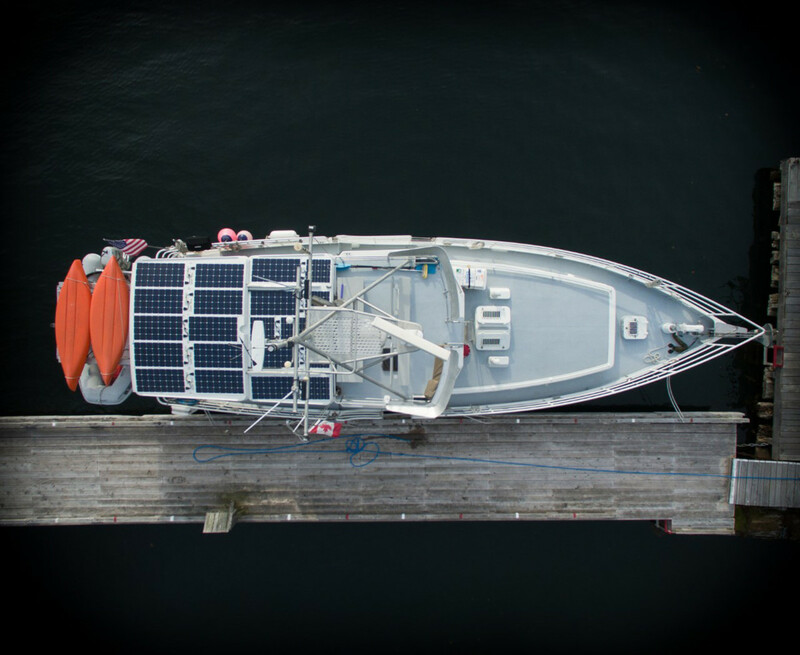 An aerial view shows the solar array on Peter Geerlof’s Diesel Duck, Seaducktress. He’s referring to Seaducktress, a light-gray 48-foot Diesel Duck owned by another important figure in the early days of ReVision, Peter Geerlofs. 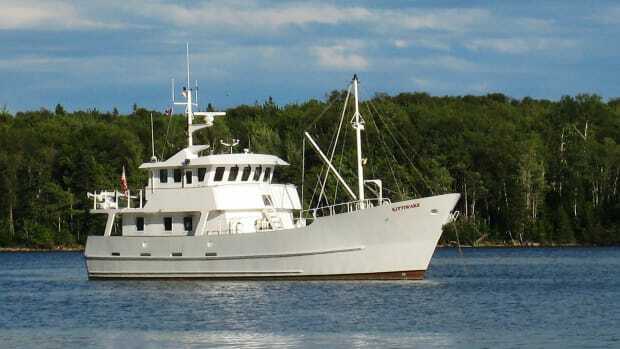 Like Mortensen and Brignoli, Geerlofs cites a need to paint a greener pasture for boating, and Seaducktress could be considered the prototype for what ReVision could achieve with a normal-size cruising trawler. This winter, he had the company install 70 square feet of additional solar panels, built on a clever expanding tray that extends to double as a cockpit shade. The vessel now has 1.7 kW of solar array. The total square footage accounts for an additional 674 amp hours of battery charging on a sunny day. 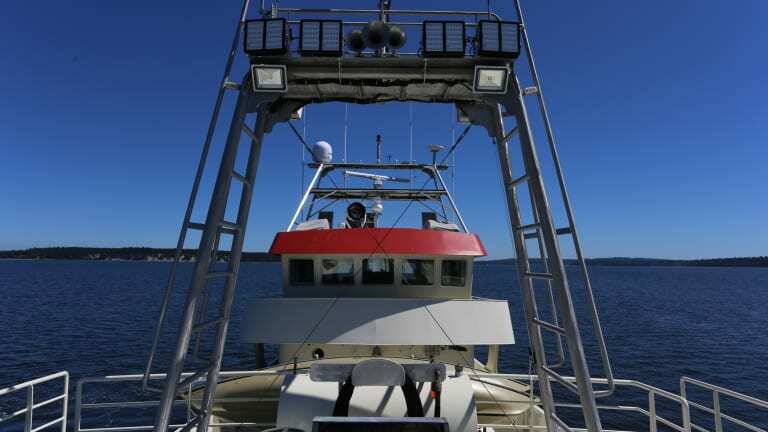 Coupled with pair of ReVision Marine ESM 12-460 battery modules, this vessel’s systems run solely on the power of the sun, complemented by twin 200-amp engine alternators while underway. Sunny summer days are more than conducive to running all electrical loads on solar alone. Even with no sun and heavy usage, the lithium batteries accept 300-plus amps throughout their entire charge cycle, replenishing them in one to two hours of engine run time, obviating any need for the expense and noise of a genset. Intrigued, we drive to the waterfront at the Port of Port Townsend for a visit. On a side-tie at Boat Haven Marina, buzzing with activity from workers to cleaners, New Pacific is a sight to behold. The steel expedition trawler, painted a creamy white with deep black rub rails and a red-orange brow, is true to the design’s North Sea trawler roots. She’s long but burly, with a high, broad bow and a superstructure set aft. Twin dry stacks (also tipped in black paint) jut up from through the aft deck, and the searchlights, mounted fore and aft, are powerful enough to bore through solid metal. New Pacific is 92 feet on the dock, but what is even more impressive is her presence on the water. Down the ramp, standing in the boat’s shadow, I meet the designer, a local naval architect named Tim Nolan. 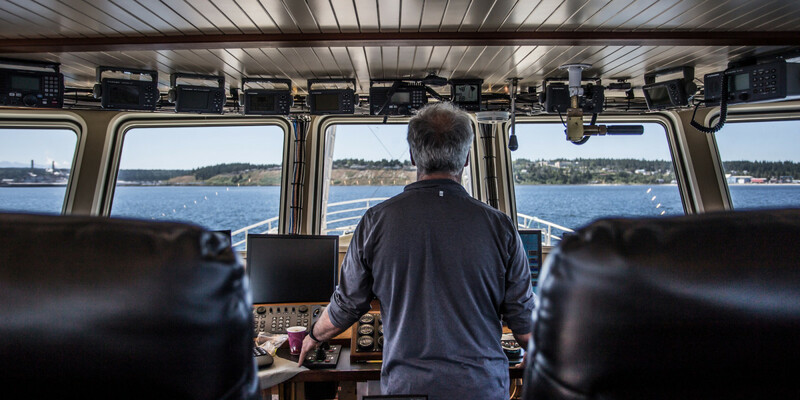 Brignoli mans the pilothouse during sea trials outside of Port Townsend. Brignoli’s Port Townsend Shipwrights Co-Op team was prepping the boat for the arrival of owners Jason and Maggie Hannah, who live by the Columbia River near Camas, Washington (also home to Furuno, incidentally). 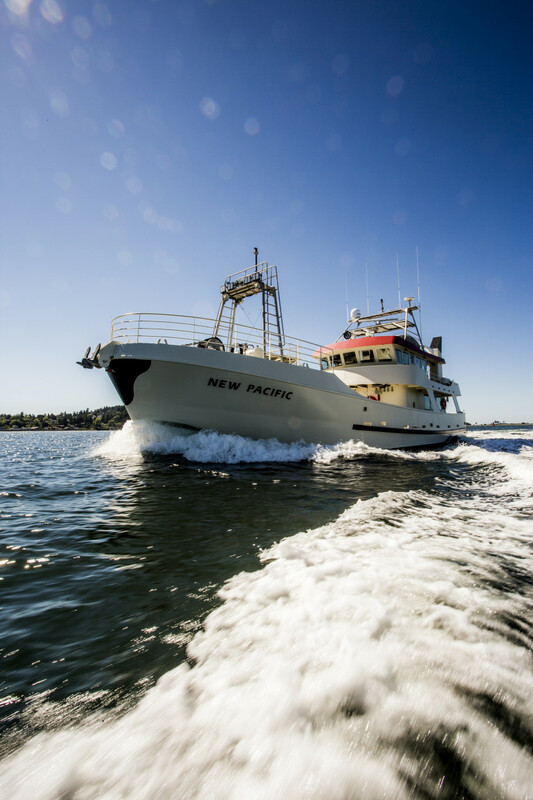 The idea for New Pacific’s construction began in 2006 with a call from a nearby metal boat fabricator, Bill Brees, who had previously sold to the Hannahs Pacific, a 58-footer that Brees and his wife had built themselves and cruised to Tahiti and back. According to Jason, Brees phoned him out of the blue and asked him if they’d be interested in a new project. The new 92-footer would take three years to complete and was christened in 2009. 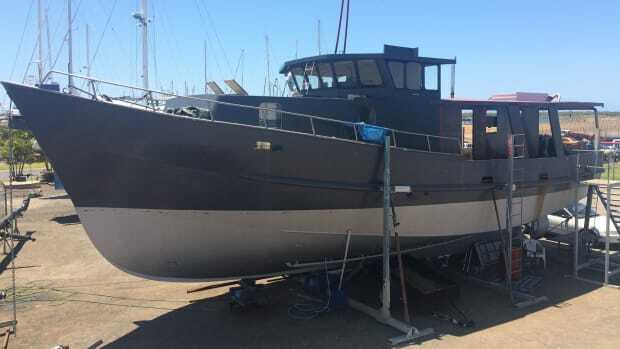 As with the Hannahs’ first boat, the Co-Op maintains and works on New Pacific during the offseason, which has included everything from filling the bulbous bow with 20,000 pounds of lead and concrete, improving her performance in head seas, to updating a number of her original systems. But the most significant work has been done in combination with ReVision Marine. 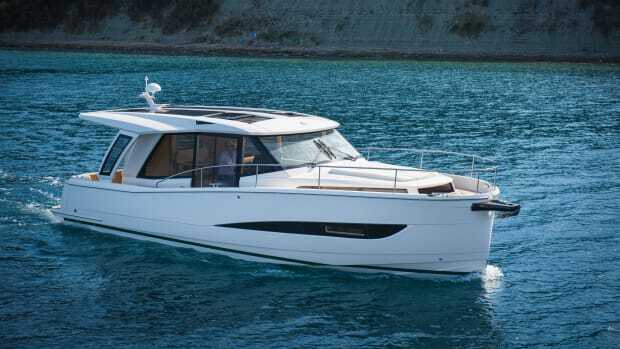 New Pacific was built with three Northern Lights generators rated from 20 Kw to 40 Kw. They keep the ship’s significant AC loads running during long cruises, enabling the Hannahs to stay in their preferred empty anchorages for longer periods of time. The original 20 kW wasn’t running at optimal loads most of the time and intermittently was unable to handle start-up loads. 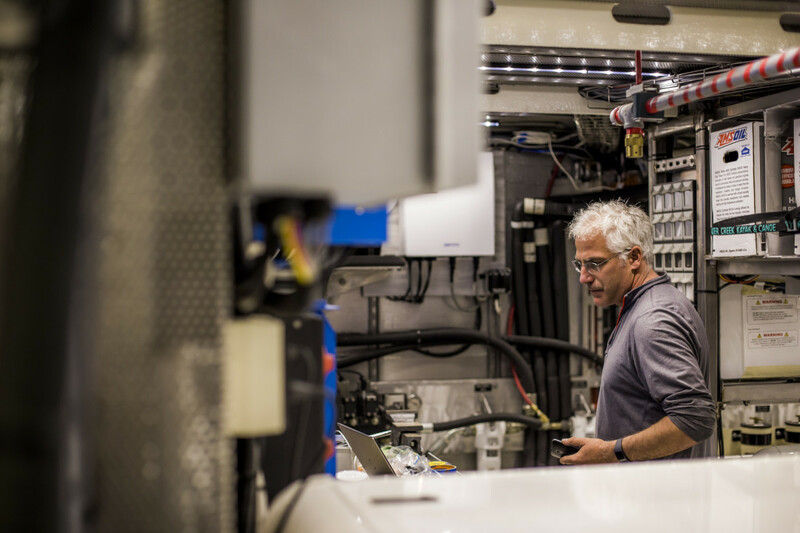 Jason found himself running the 40 kW generators for start-up loads, but running so severely underloaded required regular service for carbon buildup and other issues. In addition, running generators 24/7 was hardly ideal when they were cruising to the more remote anchorages of British Columbia and Alaska. Mortensen heads to shore during sunset at Blake Island State Park. After the first cruise on New Pacific, Jason brought his concerns to ReVision, and the team devised a plan to convert New Pacific into a hybrid-energy powerhouse. The company’s answer was a newly designed LSP house bank, which would handle the load of the entire ship and provide virtually shorepower-free cruising. New Pacific’s engine room offered just enough space to store the required number of batteries. The installation of 10 ReVision ESM 48-115 batteries, with 320 cells providing a 70 kWh energy storage capacity, took three months to complete. Today, New Pacific runs on lithium, a substantial load that averages 50,000 watt-hours per day. The 40 kW generator runs just once a day (at its constant optimal load, preventing carbon buildup and minimizing wear) for about an hour to top off the house bank whenever the BMS senses that the batteries are depleted to their 10 percent minimum threshold. 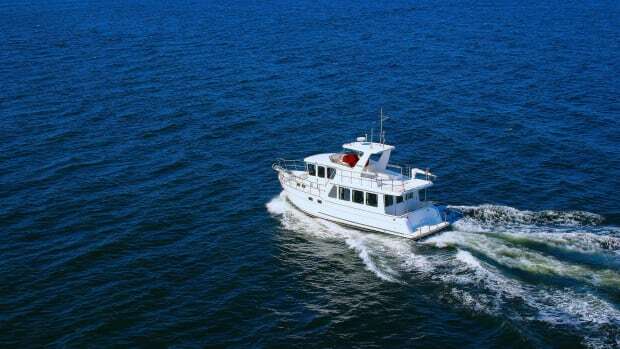 On average, this power system saves the Hannahs 3,000 gallons of diesel fuel and results in 2,700 fewer hours of generator runtime over a typical three-month cruising season. Also, New Pacific can anchor in near silence for days on end. 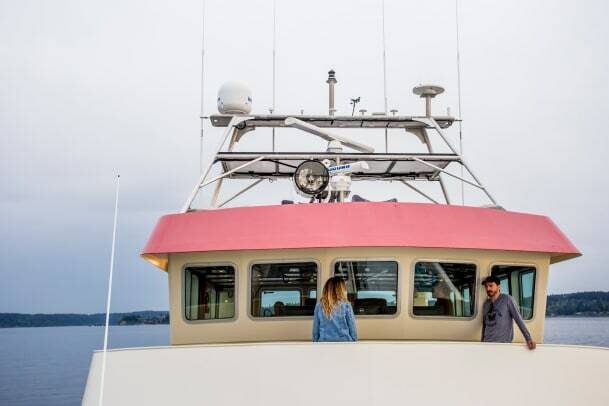 Season after season, New Pacific glides back to Port Townsend, but instead of carbed-up generators, the Hannahs’ typical offseason repair list comprises only small-ticket items. ReVision Marine is re-engineering their BMS—the brains of the operation—to better understand and troubleshoot the daily operations of the boat. 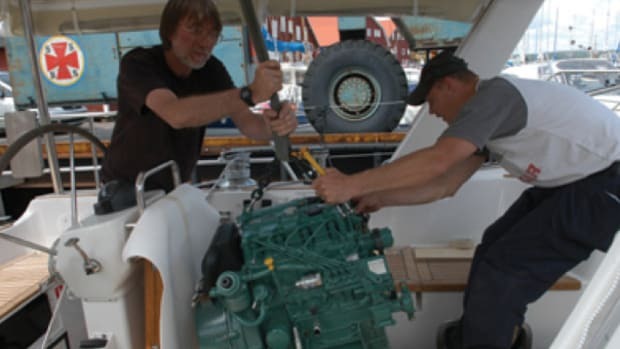 The Hannahs are considering installing a 10 kW alternator on the Lugger engine to generate even more power and perhaps even make the generators themselves obsolete—quite a feat for a boat with systems comparable to a miniature cruise ship. At the current warp speed of energy innovation, this story may even be outdated by the time the ink is dry. Regardless, here’s to the trailblazers who are lighting the path for more efficient and environmentally friendly cruising.